This is not me....its my little sister. Sitting next to her on the sofa is my mum. Guess what she is doing? 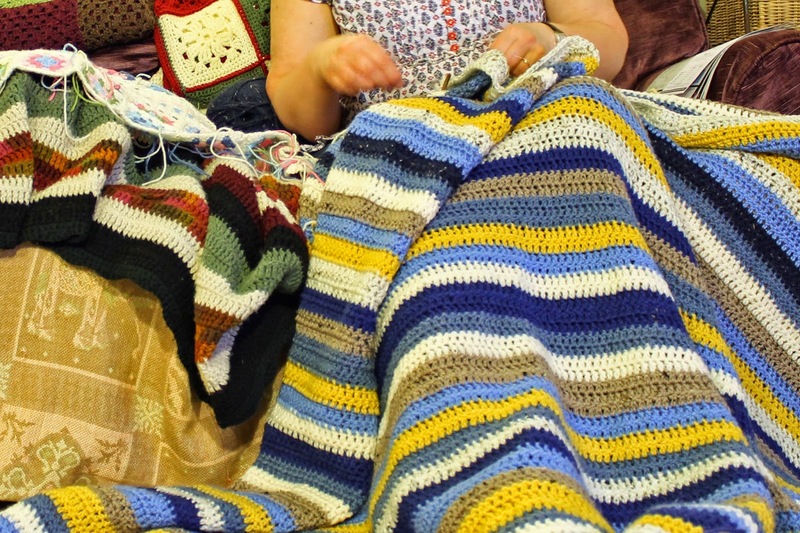 Yep, crocheting a blanket. 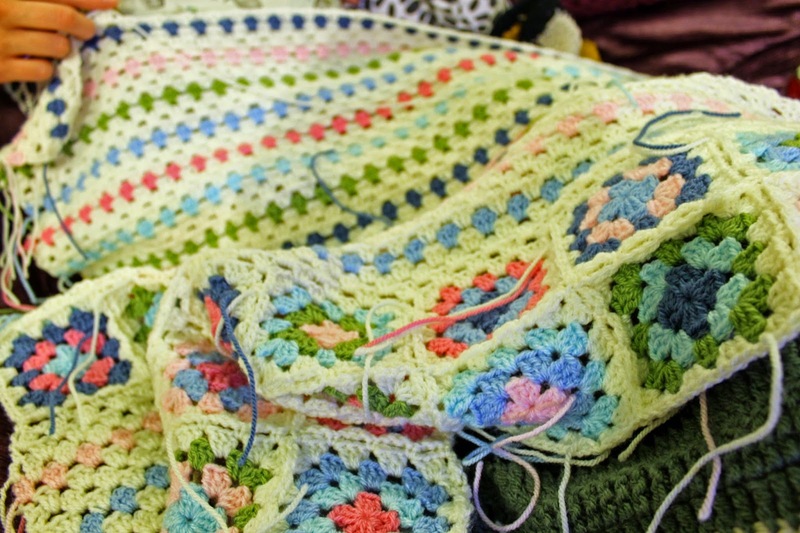 And there's more.....can you spot the 3 other crocheted blankets in the background? The granny square type ones were also made by my mum, and the other by my mum's friend. Fabulous don't you think?